MY GPS is off. | love lives on. 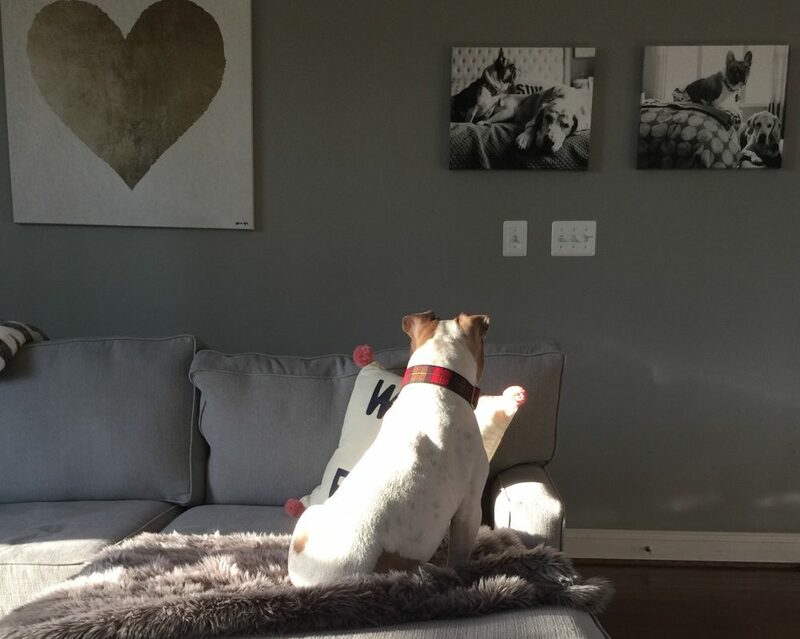 This entry was posted in Jake, Melvin and Jake and tagged adoption events, Grief, joy, loss, Love lives on by OhMelvin. Bookmark the permalink. I was just thinking about you this morning, wondering how you’re doing. Here’s hoping each day gets a bit easier. Thank you for thinking about me, that is so kind. It will work out in time. There is no rushing the emotional process. You might consider foster. It is a wonderful way to help a dog on its journey, while filling up some of the empty space in her heart and home. I have considered foster also, I’m a tad concerned about there being a dog and then not a dog and how that will fit into the whole loss chapter. But regardless of now or later, I def want to try fostering. I turned into a big foster failure. I adopted the first dog(Midnight) I fostered. Now I have my sister in laws 2 dogs and I already trying to figure out how not to let them go . I really can’t afford vet bills for 4 dogs and have to think what is best for them but my heart says not to let them go. This hurts my heart to know you are hurting. Mostly because I imagine the day I will grieve for my own furbabies, and that thought terrifies me. It literally keeps me awake on some nights and can throw me into my own crazy anxiety filled state of mind. I know when the time comes, I can only pray that I will handle it as truthfully and gracefully as you have. Please don’t, for one second, think that it’s not okay to grieve or that you need to rush the grieving process. Your mind, body and soul will guide you and as most things in life, timing is everything. You have the love and thoughts of all of us and can lean on any one of us, if it is ever needed. You are not alone on this new journey. We are here, loving you and missing Melvin and Jake. Ahhhhh, this means so much to me, THANK YOU! I can only suggest that you take your own advice (in a way) and don’t rush the ‘living process’. I know what you mean about worrying…but the reality that it will happen one day should not overshadow today. When the day comes that you are faced with loss, I will be there for you, like you have been there for us. Until then… run towards the JOY!!! I think you should consider fostering a dog during this time because it could possibly be the transition you need to help deal with the emptyness feeling but not overwhelm you with I have a new family member. You would be paying it forward by giving the gift of life and allowing yourself to love and heal. Love will live on. I am def looking into fostering, or even giving a shelter dog a weekend away in a home. Thank you! Bless your heart! As far as I’m concerned, there is not right or wrong way to grieve. You just do what feels right for you. Don’t worry about what anyone else thinks. You are correct when you say “THE” dog will come along and you will know it immediately. You will feel it in your heart and in your soul. Until then, take comfort in the happy memories, keep paying it forward and know that you have a band of interwebs friends standing beside you along the way. Thoughts, prayers and hugs to you. This band of ours, I am lifted up by it everyday. Thank you, so, so much! This post really touched me. I was lost when Talbot, our first Golden, died. She was ill for just a bit more than a month. But during that month I was completely consumed with caring for–and loving–her. When she died, I had no idea what to do with myself . . . except cry, and cry, and cry. The grief is part of the love. It was a long time before I was ready for another Golden. And then one day, totally unplanned, Harper Lee came into my life. It will happen to you, too, when the time is right. Thinking of you, and wishing I was there to give you a big hug and share a box of tissues. I totally get what you were going through. That is it. Thank you for sharing this with me, it means so much. A heavenly dog army, the idea of it brings tears to my eyes, it’s such a good vision. Anyway, you rock, we love you and any dog that gets to come with you is going to be lucky!!! I think more rescues should allow overnights! I’m sorry we are going through this, it’s nice to hear that for every difference, there are as many similarities. The next dog will find us both, i know it! Thank you, so much! I know, his roles slay me. Sounds like it’s time to foster 🙂 been in your shoes several times. I agree! That post was actually from August, since then a rescue dog adopted me. I’m able to grieve Jake better now, and am learning to move forward in a new way. Fostering is on my goals lost for this year though. ❤️ Thanks for stopping by! I get you! They are our beautiful purpose. Hopefully you will have a lot of time with both!! Thank you for stopping by!